There is a lot that makes a hockey player, but there is a difference in what makes a great hockey player and an average one that just gets by. The drive and willingness to do what it takes makes a great hockey player and someone that just shows up and puts the gear may have enough skill to just get by, but the drive to be the best is not there. When you are a coach, you are looking for players that will do what it takes to win as well as someone that is coachable. You can have a team of 25 players and three of them may be on their own page and just those three can hurt the team more than you know. There comes a time where you need to look for the right players, not just the ones that are going to do their own thing but might have high-end talent. Each team needs the guys that are role players and have the will to do whatever it takes to win. These players come to work everyday and do what is asked of them. Unfortunately, these are the hardest players to find because everyone wants to be the skilled guy. The guy that works hard everyday will develop the skill. The skill can be taught, but the mentality and the drive cannot be taught. That is why I would rather have a team of 25 workers that want to get better, because they will. They will put in the work and become a better player every single day. Don’t get me wrong, the skill is great to have, but if you don’t have that mentality to go along with that skill, you will only go so far. There is always someone out there that wants it more than you do. So you have to remember to keep working hard with your skill. The best players are the best because they have that skill and want to win every single time they can. That is why they become the best. As I stated before, the skill can be taught. It’s simple, but the way you go about your day leading up to a practice or a game cannot. You can preach it to your team, but if the players are not coachable, nothing will change. You have to find a way for kids to buy in to what you are teaching them. In my opinion, the work ethic and coachability is going down, but the coach needs to have a mindset just like the players do. So if you have a team where they are not buying in and only have skill but no will, then you need to step up and be that leader and role model for your team. The kids will follow and your team will only benefit from it. Tell the kids to keep working hard and make sure they know it’s not a chore. The harder they work, the more fun they have because their success will be off the charts and everyone plays the game to be successful. Good luck to everyone the rest of the way and keep working hard and having fun! 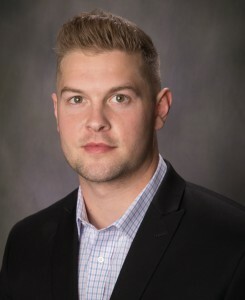 Colten St. Clair is the head coach and general manager of the Phoenix Knights Tier II junior team in the Western States Hockey League and the skills coach for the Arizona Hockey Union.